During the last year you have experienced a number of circumstances that you never imagined you would. You may have encountered challenges, felt embarrassed or simply had many hilarious and great times. Whichever it may be you have made it through it all. You have grown, & now it’s time to rejoice that you have made it to enjoy yet another year. Life will have its ups and downs but on the day of your birthday you are reminded that you succeeded. Celebrating this day with your family & friends is a great way to make your birthday the most memorable event of the year. 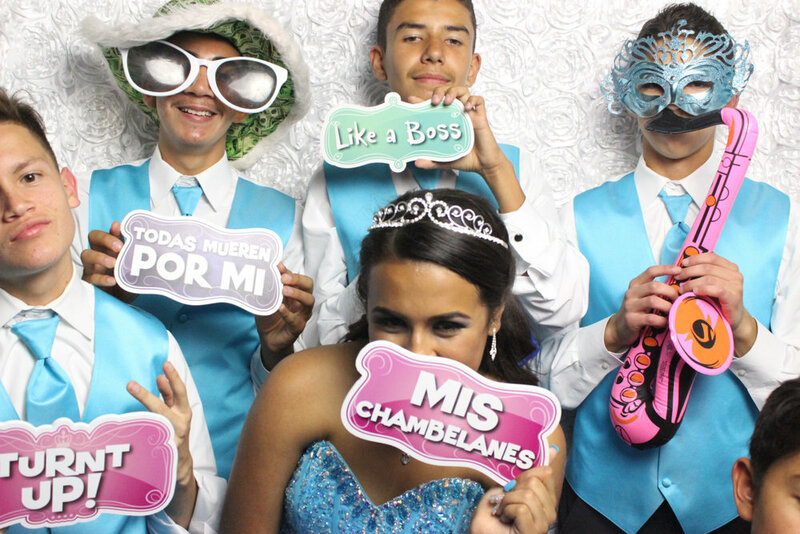 Our services help you to enhance your celebration by keeping your guests entertained with photo booth fun & we provide all of your guests the opportunity to take away cherished memories that will help to make your birthday one of the most memorable events of a lifetime. "My friend highly recommended Time2Shine Soiree for my daughters sweet 16. I was on a budget and after doing research they had the best price for the service. It was awesome and a huge success. If the teenagers were not on the floor dancing they were at the photo booth. At the photo booth line all you heard was the giggling and laughing of the people trying on all the different varieties of props . The onsite director was very professional, on time and made sure that my daughter's sweet 16 was a memorable one. He had a lot of patience with the teenagers."